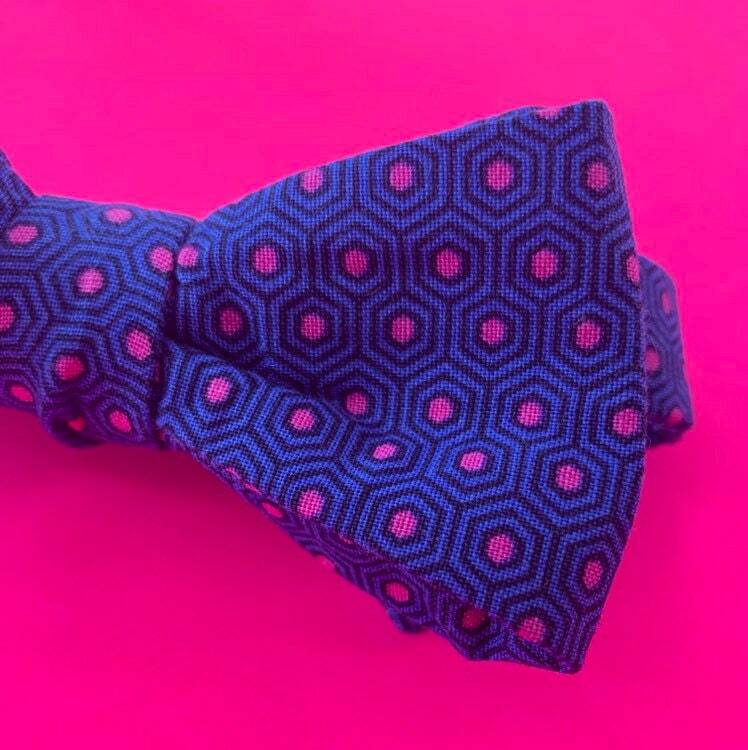 Eye catching honeycomb print adult bow tie made from a beautiful cotton fabric. 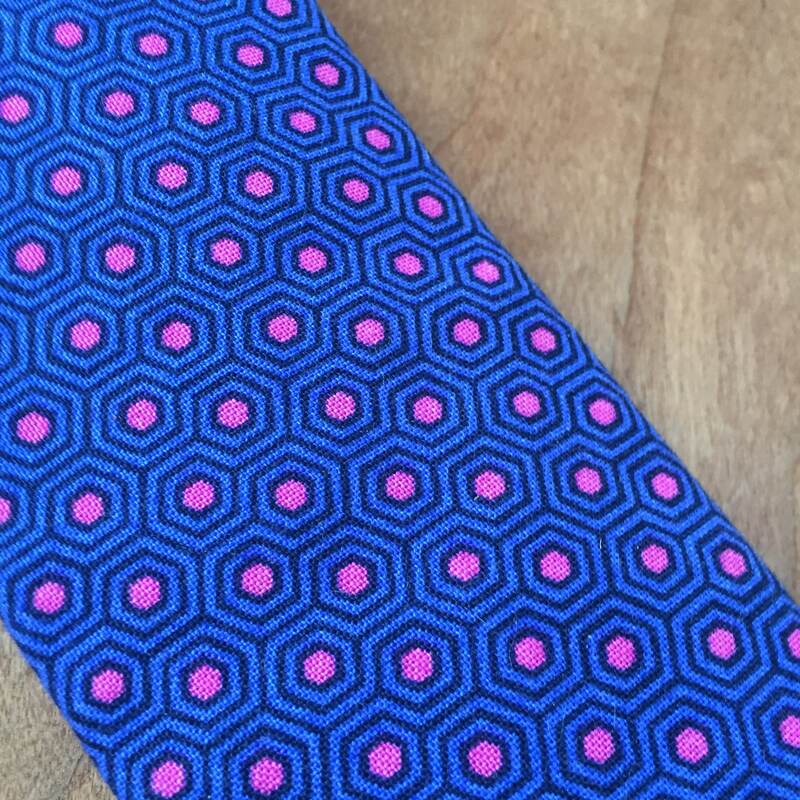 Blue with pink details. You won't see a print like this anywhere else! This twist on a classic print is dapper and unique. This print would look great with a gray or a khaki suit of any shade or even a chino suit. 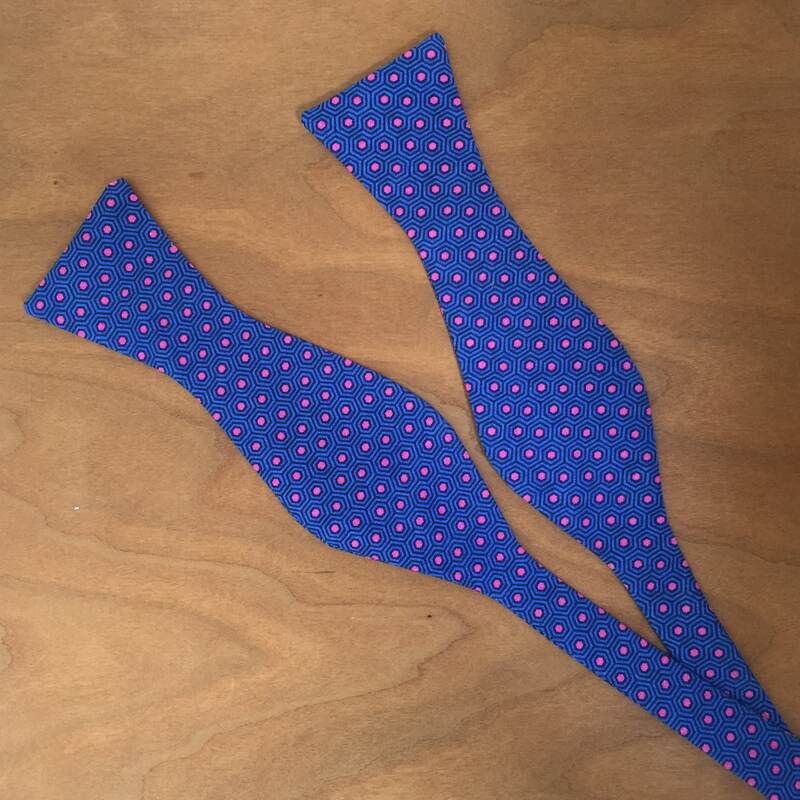 This bow tie could also be dressed down and paired with a nice pair of jeans and blazer. 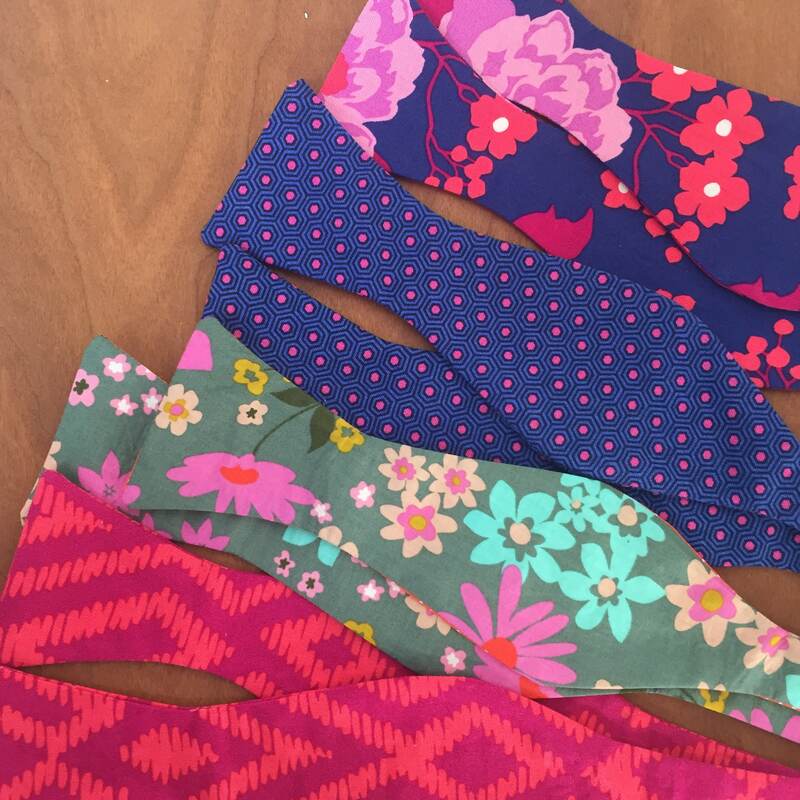 Don't forget to get a coordinating pocket square from our shop!